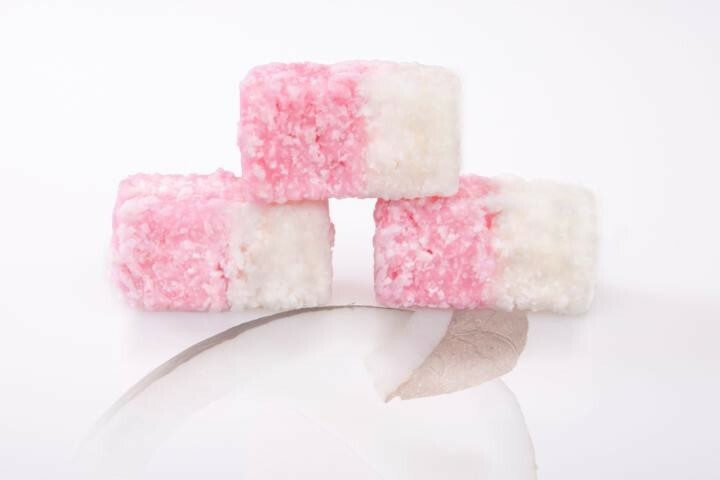 Our Coconut Ice is traditional handmade English sweet fondant created from desiccated coconut flakes, coconut milk and icing sugar. The pink half is flavoured with a slight hint of strawberries. Sugar, Glucose Syrup, Coconut (23%), Preservatives: Potassium Sorbate, Citric Acid, Sodium Metabisulphate (Sulphites), Natural Flavourings, Natural Colour: E120. Our Coconut macaroon although handmade in England is a Scottish styled coconut fondant with a thick velvety centre. 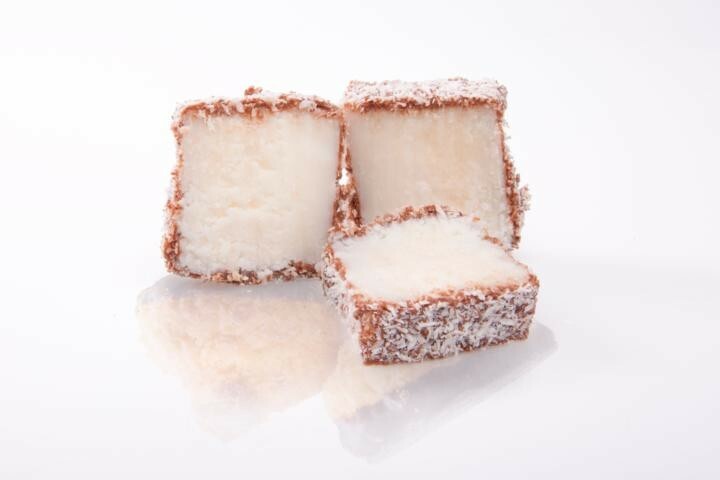 Our coconut macaroon is created from coconut milk and is then covered in rich melted milk chocolate and rolled by hand in Desiccated coconut flakes. Sugar, Glucose Syrup, Hydrogenated Palm Kernel Oil, Sweetened Condensed Milk, Coconut, Fondant, Salt, Lecithin E322, Titanium Dioxide E171 and Flavours, Chocolate Coating: Hydrogenated Palm Kernel Oil, Cocoa Powder, Whey Powder, Emulsifier: Soya Lecithin; Flavours. Our Mint Coconut macaroon although handmade in England is a Mint flavoured Scottish styled coconut fondant with a thick velvety centre. 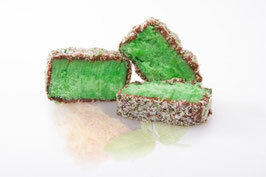 Our mint coconut macaroon is created from coconut milk and flavoured with mint it is then covered in rich melted milk chocolate and rolled by hand in Desiccated coconut flakes. Sugar, Glucose Syrup, Hydrogenated Palm Kernel Oil, Sweetened Condensed Milk, Coconut, Fondant, Salt, Lecithin E322, Colours E171, Flavours, Chocolate Coating: Hydrogenated Palm Kernel Oil, Cocoa Powder, Whey Powder, Emulsifier: Soya Lecithin; Flavours.